This is the second Gokulashtami without Mom. I don’t know if festivals will ever be the same. So far, they’ve been rather low key. More than what we actually did on those days, it was the atmosphere and the exciting build up that my Mom was so good at, and made it seem more significant than it actually was. She would plan for days before the festival. She would check the date and auspicious time several times. She would make a list of things we needed for the list of things we planned to do. And we would keep on talking about it. That’s what I miss the most. Even the simplest things became such fun with all the teasing and joking. Gokulashtami was especially fun, because it more or less kicks off the festival season for us, being closely followed by Ganesh Chaturti. 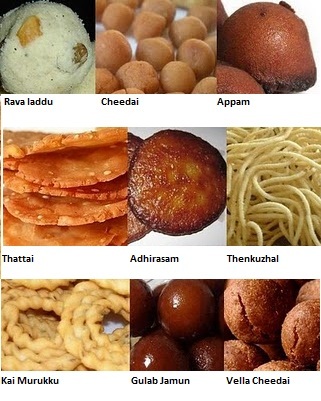 For Gokulashtami, we made cheedai, thattai, sometimes thenkuzhal, but definitely vella cheedai and appam. Then we would offer milk, curd, butter, aval and vellam in the neivedhyam. My grandmother made her trademark rava laddus. Gulab Jamuns were staple items. And we would definitely make it a point to watch whatever Krishna movie the TV dished out, while we rolled the cheedais. And for those of you who think I was driveling and have no idea what those words in italics are, here is a visual tutorial of the yummy stuff. Drool! 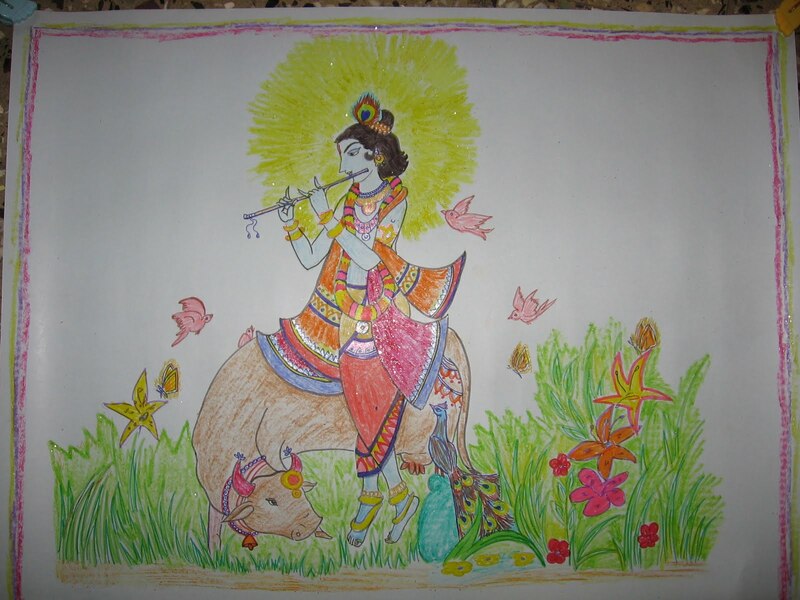 We would “put” rangoli at the entrance to our home and from there, leading to the puja room would be little baby steps drawn on the floor, to invite Sri Krishna in. When Vidur was not even a year old – in 1998, on Gokulashtami day, we dipped his feet in the rangoli mix and led him across the room for the perfect baby steps. He got up on his own, with support on August 4, 1998, with my Mom sitting nearby and marveling at the miracle. Every little thing he did was magic for her. Oh, I wish she was here.